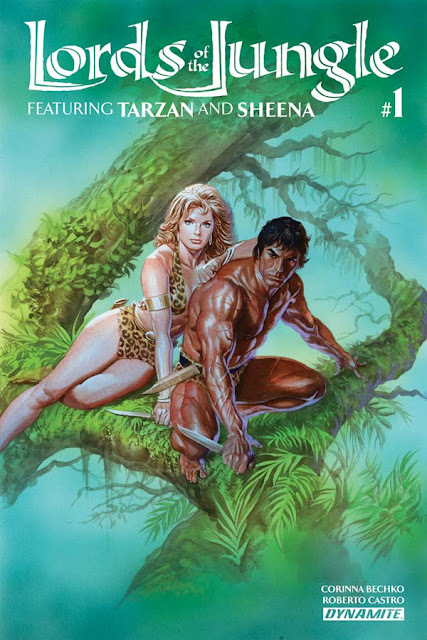 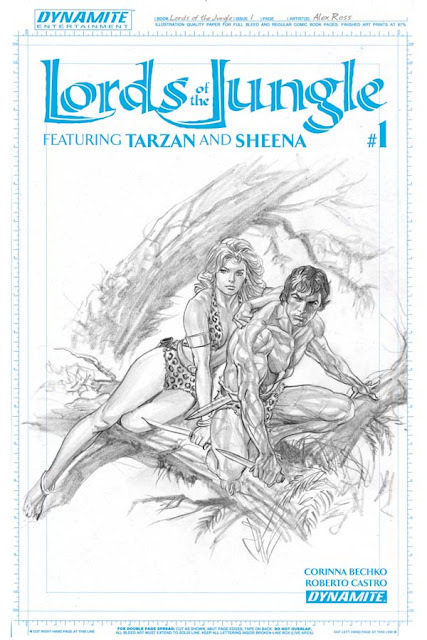 Edgar Rice Burroughs' original jungle hero Tarzan joins the comic industry's first leading lady, Sheena, for the first time ever! 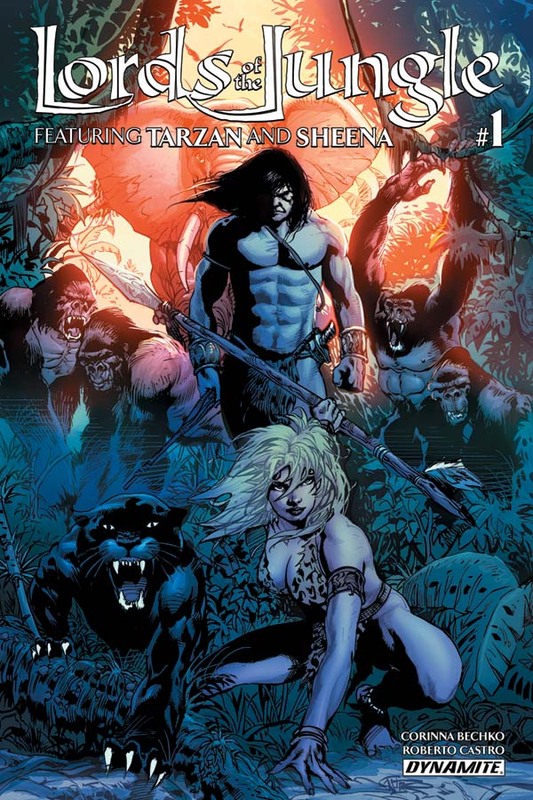 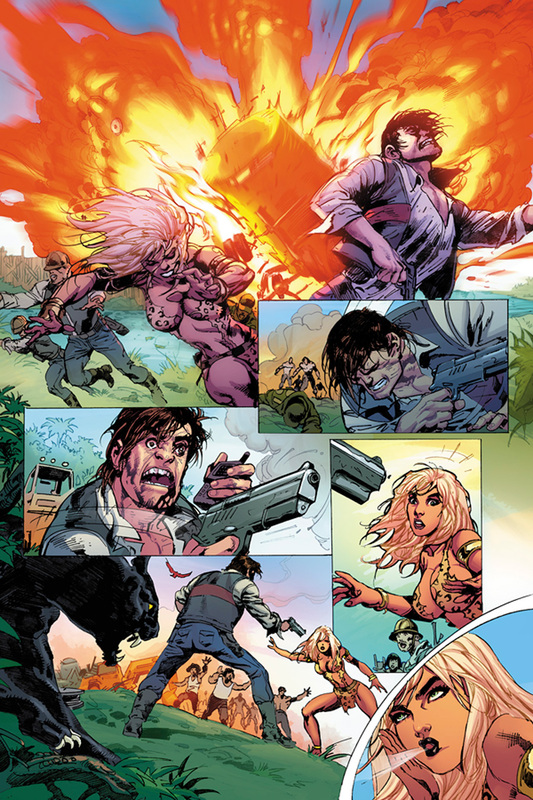 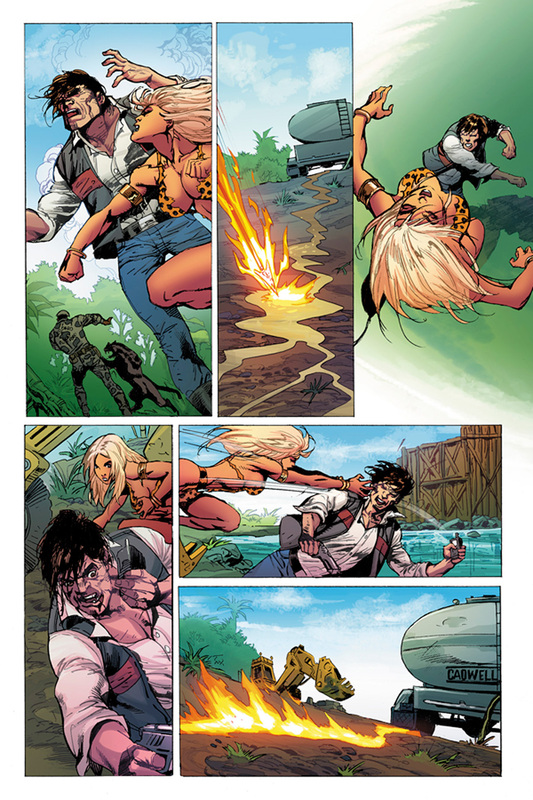 Dynamite Entertainment, known for bold, modern interpretations of classic pulp characters, bring together wilderness royalty in Lords of the Jungle, a thrilling miniseries slated to debut on March 16, 2016. Written by Corinna Bechko (Aliens/Vampirella, Star Wars: Legacy, Planet of the Apes) with interior art by Roberto Castro, Lords of the Jungle features two covers for its first issue, by series artist Castro and industry legend Alex Ross respectively.